What is risk for you ? 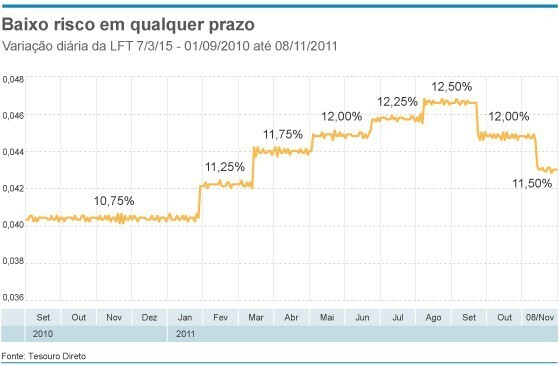 In discussions about the better strategies for application in published papers offered in Tesouro Direto (Treasury direct), I give my opinion if the investor wanted maximum safety, the better choose was invest in LFT, because the payment of title is adjusted by Selic rate in each meeting of Banco Central Copom. My thesis was that risk is the chance of suffer a unexpected lost in investments if goes obliged to leave the application in a bad moment. So, the LFT is a title with the less risk. For to base my conclusion, I was showing with the daily variation of LFT with maturity in 03/07/2015, from september/2010 until november/2011. Note that each meeting of Copom the baseline of daily profitability of title varies, in line with the new basic rate of interest. Many up a point also interesting, by emphasizing that, in reality, the risk that exist in fixed income applications in Tesouro Direto is the possibility commit some mistake in choose of the papers and lose money. This way, argued that, instead of manage by yourserlves a wallet of public titles, the application less risky was choose a good investment fund, that levied rate of manage sufficiently low. In the End, after many discussions and with four interesting chooses, the solution of consensus was diversify the applications, building on investments goals and the specific way how each one faces the possibility of losses in your heritage. Let’s watch this video about our retirement. This video is in portuguese, but it’s very easy for understand. If you don’t understand I will post a translation here. An assembly contains code in an intermediate format called Microsoft Intermediate Language (MSIL) and it generates from a compiler like Visual Studio. All compilers for .NET Framework generate code in this format, regardless of the programming language that was used to write an application. This enables the CLR to run code in the same way, regardless of the language that the developer used. Assemblies are the building blocks of NET. Framework applications; they form the fundamental unit of deployment, version control, reuse and security. An assembly can be of two types: an executable code that other programs can reuse. By using a library, developers can modularize the development of their applications into logical components. It protects assemblies from modification. It enables you to include the signed assembly in the global assembly cache (GAC) , so you can share the assembly with multiple applications. It guarantees that the name of the assembly is unique. To sign your assembly, you can use the Sign Tool that provided with the .NET Framework, or you can use the assembly- signing functionality in Visual Studio. Hello, I’m sorry for my absence in the last month. 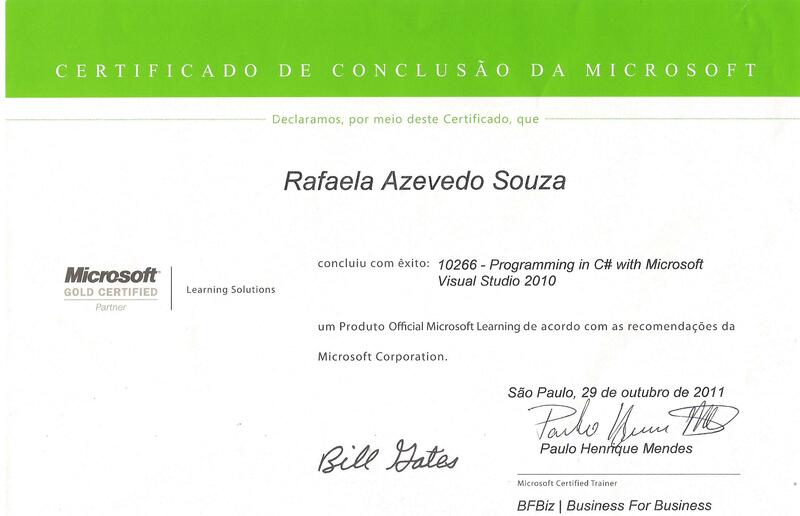 But I was doing a course of C#… Check my Certified below.